I felt good and my legs felt rested (it's amazing what a difference a good night's sleep makes). I contemplated doing a 5K run, but decided to stick to the 30 minute session and have a longer cool down and post-run recovery time. 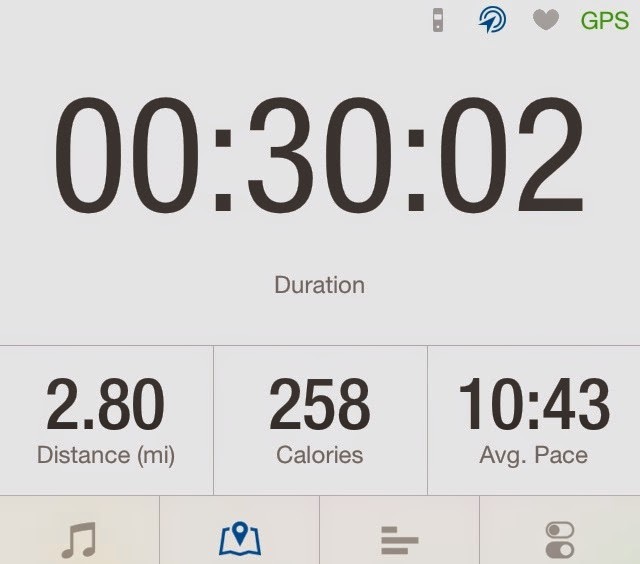 Running in the morning is always a peaceful time for me, even when I am working on speed or my form or endurance. I have a better day overall when I start it with a running session (too bad I can't run every day). 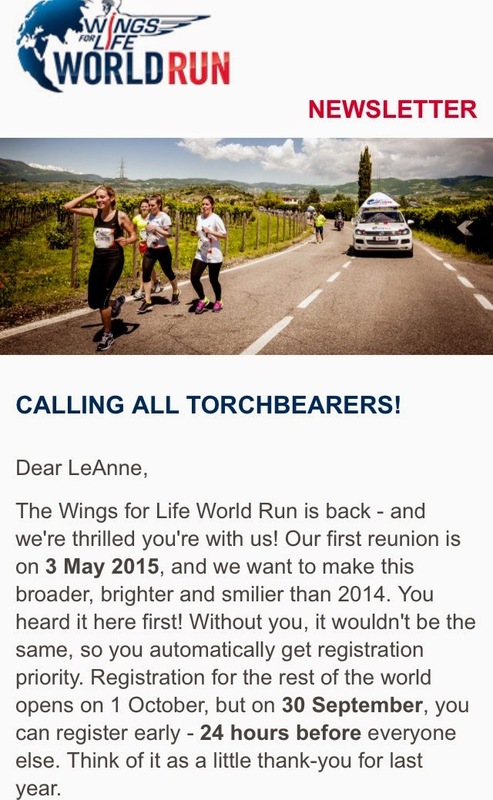 The WINGS FOR LIFE WORLD RUN is BACK!!!! (I'm excited can you tell???). In case you didn't see the race recap post I did, for the inaugural run in May this year, you can read about it HERE. And if you want to learn more about the Wings for Life World Run, the organization (and what it does), and pre-register for the 2015 world run event you can do that HERE. I did a lot of fundraising for the organization's world run event earlier this year and I'm probably going to do the same thing for next year as well. I'm also going to try and get more people to run and support the cause (check out the links when you have a moment). Did anyone do the Wings for Life run this year? What cause or organization or foundation do you run for (if any)?